There's still nothing confusing there regarding EasyBCD, bootmgr or Disk Management. If you are booting from the old W7 disk, then regardless of which OS you chose to run, Disk Management shows old W7 as "system" and is using the old W7's BCD. If you are booting from the new disk, then it will be marked system and the new BCD (one entry) will be in use. What you've got to sort out is how you have your BIOS set if it's not doing what you expect and want. I had begun to suspect some kind of booting anomaly but I have a question first. "If you are booting from the old W7 disk, then regardless of which OS you chose to run..."
I don't understand how I would have a choice of which OS to run if I am booting from the old W7 disk. I have only one OS per disk on each of the 3 disks. If you look at the BCD information, you'll see the boot manager (bootmgr) and the boot loader (winload.exe) are completely separate. You are booting the new W7's winload from the old W7's bootmgr. The MBR looks for the active partition on the highest priority boot device (old W7). Having located it it executes the code it finds in the partition boot sector which takes it to the old W7 bootmgr. The old W7 bootmgr opens the old W7 BCD and displays a boot menu with its contents as your choice list. You chose new W7. The BCD contains a link to the winload.exe in the Windows\system32\ folder on your new W7 drive. It executes and loads the new W7. I think I understand what is happening now. By the way, it is acting "normally" this morning. If I select the new W7 manually from the BIOS Boot Selection Menu, it boots straight into new W7. I did this 3 times to be sure. Only 1 entry in EasyBCD. If I let the BIOS use the default - old W7 - I got the List of 3. I selected each one separately 3 times and they all worked. Then to be sure, I manually selected the new W7 disk again for booting and it worked again, going straight into new W7 with 1 entry in EasyBCD. So now I have everything working the way it's supposed to, I'm going to complicate things...sort of. When I finally decide to change the default boot to the new W7 and I add the XP and Old W7 to the EasyBCD Boot List, do I let EasyBCD do it automatically or do I do it manually? EasyBCD will locate XP and do everything else necessary automatically (just let it auto-configure). For W7, just add a Vista/7 entry and give it the disk letter which New W7's Explorer uses to refer to the old W7 partition. I know it's been a while but I finally managed to change my configuration so that the default booting is from the new W7 drive, giving me the 3 booting options I had before, booting from the Old W7 drive. 1. Clone the W7 New to the W7 Old drive, basically giving me a complete copy of W7 New. 2. When W10 comes out, I plan to upgrade the copy to W10 and check it out, perhaps making it my full-time OS. This gives me the option of having an untouched W7 just in case something goes wrong. 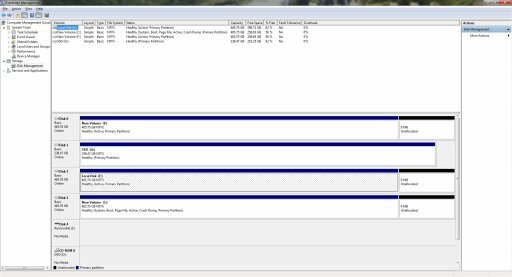 Depending on what Partition Manager you use, and which of its copy/clone/backup options you choose, your duplicate system might work first time, or could possibly need "startup repair" from the W7 DVD before it will boot properly. Once you have it working though, you should be fine to get the free W10 upgrade. I have W7 and W8.1 dual-booted on an SSD with W10 on a HDD, currently controlling the boot. When the release version of W10 appears, I'll abandon the trial copy and let it update W8.1 on the SSD and go back to booting from there. I will be using Acronis True Image 2015. My concern was that the cloning of the New W7 on the Old W7 drive would confuse the booting process since all the EasyBCD "stuff" would be duplicated on the Old W7 drive, including which drive was marked as "System". 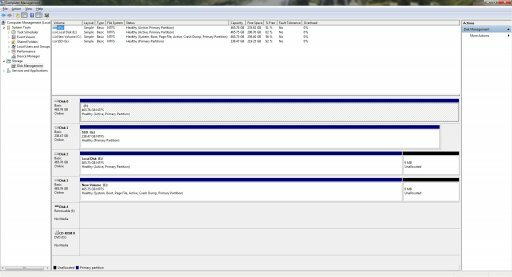 Does the PC care if there are 2 exactly the same drives containing 2 exact copies of W7? If you need the EasyBCD "stuff" I can display it here. The boot process doesn't care what's on any drive it's not booting from. I did the clone from my W7 Fresh to the disk containing the W7 Old successfully. When I rebooted, the EasyBCD Menu was the same as before so I selected W7 Old and I got a boot error as you mentioned. I put in my Windows7 CD and selected Repair. It rebooted and the W7 Old had changed to Windows 7 Professional (recovered). I selected it and it booted no problem. I did notice that the Disk Management entries had changed since the clone. I have included the screen captures of both Pre and Post cloning. Now I am ready for the W10 Free Upgrade.